The Kadara (also Ajuah (Ajure), Adaa and Adara) people make up one of the largest ethnic groups in southern Kaduna, an area south of the present state of Kaduna in Nigeria. 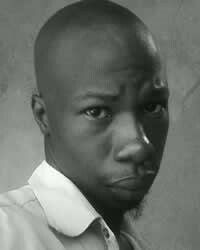 Other names are the Azuwa, Ajuwa and Azuwa. A great number of this ethnic group is found in the eastern part of Minna, the capital of Niger State, with a high concentration of them in the northern part of Abuja, the capital of Nigeria. The live in Imesiwaa (also called Imesiyo or Imesiyaa). 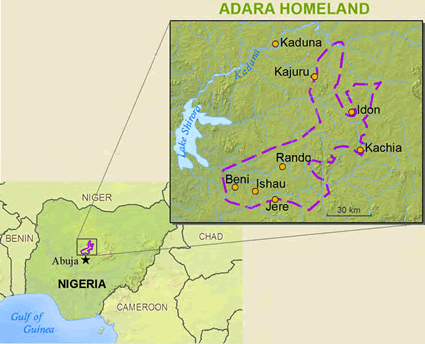 Kadara land covers an extensive area of about 8,090 square kilometers. There is an estimated population of about 3.9 million people according to the 1973 census (National archives, Kaduna 1977). Because of the teeming population of this ethnic group, the Kaduna state government recently created two new chiefdoms in Kadara land with Kachia and Kajuru as their headquarters. The Kadara people are an ethnic group that enjoys living together in small villages as their settlements, with the organization of administration based on the village settling. They are great farmers and hunters. Among the common and most stable food crops grown are Guinea corn, millet, maize, rice, cotton, groundnuts, tobacco, sugar cane, ginger, yams, beans and soy beans as the main cash crops. Another important aspect of agriculture engaged in by the Kadara is animals rearing such as cattle, sheep, goats, pigs and poultry. The historical origin of this people (Kadara) in Nigeria has not yet been fully ascertained and documented, and until that is done, one can depend only on oral tradition to understand how they came to occupy their present territories. One tradition traces the origin of the Kadara to the Dala Hills in Kano State. 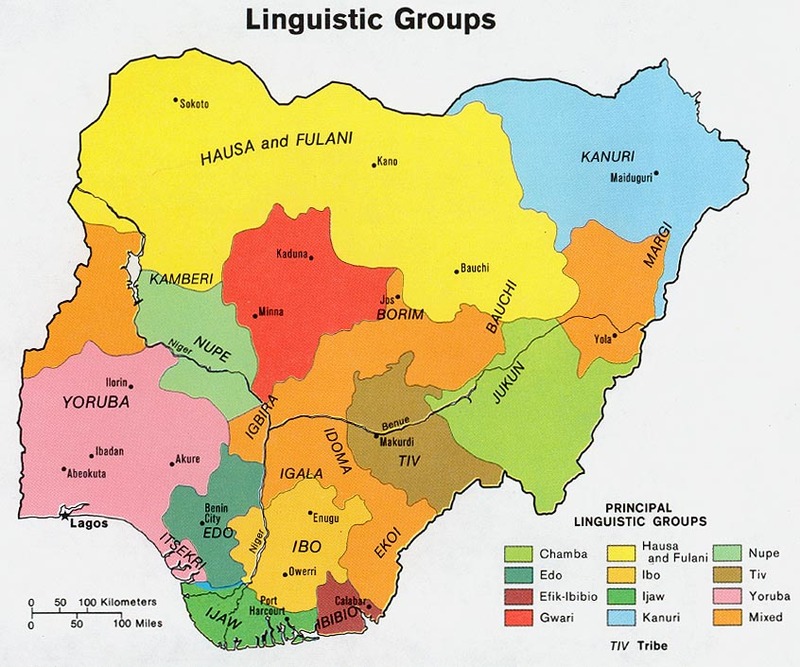 Another oral tradition maintains that they (especially the Kadara of Ankuwa) migrated from the area around the Plateau Hills, west of Plateau state Nigeria to their present settlement. One thing interesting about the two traditions of the history of the Kadara people is that both trace their origin to the Hills of Dala and Plateau. It is little wonder then that areas presently occupied by them are around the Hills and mountainous regions. The Kadara people believed in the existence of a supreme being, creator of the universe. He could be reached through much lesser spirits found in the ancestral world, spirits of certain animals, stones and a host of impersonal forces. Also living among the Kadara are adherents to both Christianity and Islam. The Kadera need to be set free from injustice and rule of evil, because these two prevail when good people do nothing. View Adara in all countries. Location in Country: Kaduna state: Kajura and Kachia LGAs; Niger state: Paikoro and Muya LGAs.